As experienced travelers we are not afraid to ask for help. So your hotel check-out time is supposed to be 11am and yet your flight is not until 10pm? Nightmare! You have nearly twelve hours to kill in the sweltering heat with all your luggage. The number of times we see tourists sat in hotel lobbies surrounded with their bags. Not us! We always ask the hotel reception if we might be able to check out later at 2pm. We also ask the reception if they can look after our luggage. We have never been turned down, ever. And off we go for the rest of our last day to do whatever we please. Basically ask yourself the question, “If this went missing would it ruin my vacation/trip/life or business?” If the answer is yes then keep that item with you at all times when traveling. That could apply to anything and is entirely personal to the individual. It could be a Laptop for work, essential medication, your makeup that you wont leave the house without or your ghd straighteners for your unruly hair. If you would be lost without it, don’t risk losing it! It can often feel like taxi drivers are just waiting to prey on tourists. It’s a global phenomenon that seems to happen anywhere and everywhere. 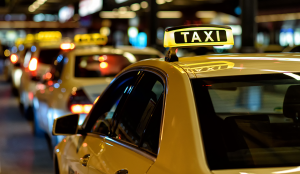 Before getting in a taxi, make sure it is a licensed cab. Tell them where you are going and check that they know where it is. Always agree the price before getting in. That will avoid the meter increasing scarily or angry taxi drivers demanding an extortionate amount in an unfamiliar and foreign place. Sometimes when traveling from one destination to another a stopover for ten hours or more cannot be avoided. You are stuck there, struggling to stay awake in a bustling and chaotic airport trying not to get your luggage stolen. Do what we do and get some help! Most airports have local hotels. Head straight to the nicest one. Politely explain your situation and would they be kind enough to allow you to pop in for a drink, lunch or dinner. Then chill out for a few hours. When your plane lands and you just want to find your hotel quickly make sure you have written all your hotel address details down neatly on a piece of paper to hand. That way you can hand it to a taxi driver or locals for directions and help. Now is not the time for relying on internet, hoping your phone battery hasn’t died or trying to remember and pronounce a foreign hotel and address. This is a tough one to learn. In some counties quite literally Yes means No. Nodding your head to say Yes means No and shaking your head to mean No means Yes. It is difficult to change the habit of a lifetime. This is the case in Iran, Lebanon, Bulgaria, Greece, Turkey, Syrian & Albania. The locals will probably realize you are English and perhaps understand. But in these countries especially learning how to SAY rather than gesture YES and NO is definitely the way forward. This adage is true in life and especially true when traveling. Don’t have all your cash, cards and essentials in one bag or place. In the event of disaster have at least one person you can rely on to help. 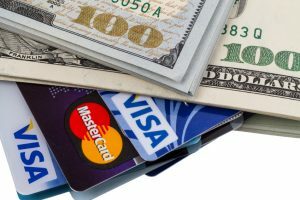 When bank cards are lost or stolen whilst your bank should try to help, will they and do they really care? Have someone or a network of people that you know will transfer money by Western Union whatever the emergency. Investing a few pounds and taking up no space or baggage allowance in your luggage, a travel first aid kit is an essential for the smart traveler. Include basics such as scissors, plasters and basic medications for allergies, pain and diarrhea. 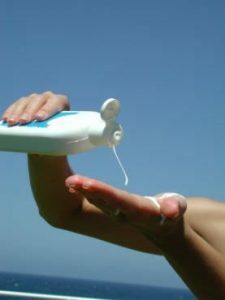 Many a holiday and life has been ruined by people not wearing sunscreen. Attempting to avoid sunscreen in order to get a faster tan is a fast track way to misery. If you don’t end up sick and in agony due to vanity your tan will only peel away shortly. Stay safe in the sun.